Learn the secrets of Matera’s world-famous bread through a breadmaking lesson. Explore charming rural towns and sun-splashed villages on the shores of the Adriatic. Go underground to see the dazzling rock formations of the Grotte di Castellana. Witness the UNESCO-protected trullo homes of Alberobello and Otranto’s fascinating (and grim) Ossuary Chapel. Stay at a handpicked selection of luxury accommodations. Often overlooked by travelers drawn to Tuscany or the famous Renaissance cities to the north, Puglia has long remained one of Italy’s best-kept secrets. But once the world catches on to its splendors – warm Adriatic breezes, delightful seaside towns, golden beaches, and an array of treasures both cultural and culinary – Italy’s bootheel will be on everyone’s to-do list. Beat the rush and discover your next favorite place today. 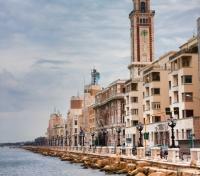 Meet your private driver and vehicle at Bari Airport for a transfer to Matera. Approximate travel time is 1 hour. 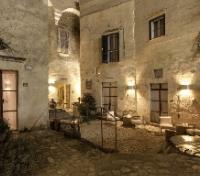 Corte San Pietro is a stunning hotel in Matera's UNESCO-listed ancient Sassi district, residing across what were once centuries-old abandoned cave dwellings, now restored and re-imagined to provide ambiance and authentic elegance like no other. The rooms are strictly monochromatic, characterized by earth tones ranging from beige stone to brown wood and iron cortèn. Earth, terracotta tiles and natural colored rock become walls, ceilings and seats. The constant search for a link between the interiors and the surrounding landscape has given life to the interplay of local stone, wood and iron that is used in every room, following a linear and minimalist design. Step out from your room to one of the central courtyards, or Via San Pietro Caveoso, where you'll experience a sense of 'living' the ancient Sassi neighborhoods. Enjoy a privately guided walk of Matera, a city which has gained international fame for its ancient town, the "Sassi di Matera" (meaning "stones of Matera"). The Sassi originate from a prehistoric settlement, and are suspected to be some of the first human settlements in Italy. These unique Sassi are houses dug into the calcareous rock itself, and during your tour you'll have the chance to enter the Casa Grotta which will show you first hand how the Matera settlers used to live, seeing the kitchen, bedroom, and even the stables for animals. 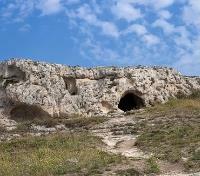 You'll also enter one of the cave churches, a place where the ancient Sassi people used to pray. Make your way to one of the most well-known local bakeries, among the first to bring fresh bread into the homes of the citizens of Matera. People would prepare the dough at home, and bring it to the oven to be cooked. The owner won the trust of families by choosing the best local grains, but above all, he did so by embracing an ethic of transparency and absolute respect for what he put on the table every day for the citizens. 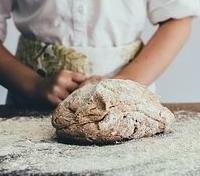 It's here where you'll get to enjoy a bread-making class, unveiling the secrets and traditions related to the bread of Matera, with an English-speaking translator on hand. During the leavening phase, the flavors will be your guide through the discovery of traditional bakery products. And yet smell, hearing, sight and touch will be activated by the colors, sounds and scents that the bakery’s oven will give. Put your hands in dough, taste the local specialty, and even leave with your own bread. Meet your private driver and guide for a transfer to Savelletri, visiting the Castellana Caves and Alberobello en route. The Castellana Caves (Grotte di Castellana) are the most spectacular natural highlight of Puglia, and a site of immeasurable national significance. Here you can descend into a network of caves formed nearly 90 million years ago, with a range of colors and contours and stalactites and stalagmites that amount to a truly majestic sight for anyone who enters. Afterward, continue to Alberobello, modern capital of Trulli, and UNESCO World Heritage Site renowned for its peculiar cone-shaped buildings with whitewashed walls and stone roofs. 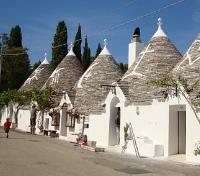 While here, enjoy a 4-course lunch accompanied with a wine tasting in a lovely Trulli house-restaurant. After your meal, embark on a walking tour of the city. In the narrow streets of Alberobello you can admire workshops with artisans at work. 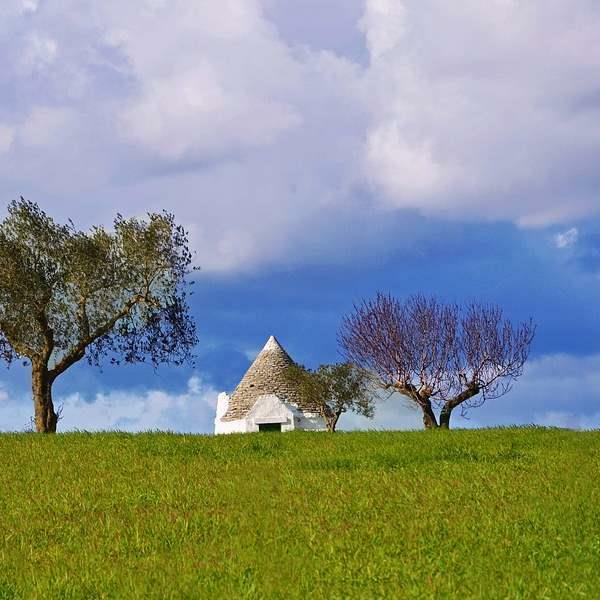 You’ll also have a chance to step inside a typical trulli house to see the architectural style and structure, and learn how people used to live in these unique buildings. Conclude your day on arrival in Savelletri. The peace and colors at La Peschiera are hypnotic, offering pure luxury on the lap of the turquoise Adriatic, and amidst nature’s spectacular beauty. Upon entry to this stunning boutique hotel, the expanse of blue pools takes one's breath away. A thalassic concept includes seven pools, plunges and cascades, stretching before the 13 exclusive guestrooms. Behind each room is the dramatically beautiful Adriatic, where shallows splash on the rocks leading to a sandy sea bed, where guests can enjoy the recluse of a private beach with parasols and loungers. Dine on sophisticated Apulian cuisine and fresh seafood at the on-site Saleblu Restaurant and Lounge, featuring uninterrupted sea views, an irresistible invitation. With your private guide and driver, head to Locorotondo, officially one of the "Borghi più belli d'Italia", the most beautiful villages in Italy. In addition to its picturesque appearance, the town is also known for its wine production. The historic part of town is circular and perched on the top of a hill. It's a maze of little lanes lined with historic buildings, some humble and faded, others retaining rather grand baroque archways and architectural details. You'll have some time to explore the town before you head toward a nearby local winery to enjoy a guided visit of the property, followed by a wine tasting paired with local cold cuts. Afterward, you'll make a stop at the village of Cisternino, where you'll have some time to explore the quaint, whitewashed streets, and dine independently before returning back to Savelletri. 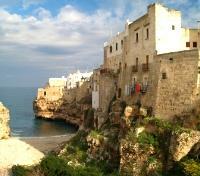 Departing with your private guide and driver, you'll head to the baroque seaside town of Monopoli, an area first settled in 500 BC. Starting from the old port, take a nice stroll along the old ramparts, and through the main gate. You'll reach the castle of Charles V, continuing past its walls and along the promenade to a view of the 15th century cathedral and its baroque bell tower. Winding through tiny alleys and out through another main gate, you'll leave Monopoli behind and drive to Polignano, famous for its ice cream production. Formerly called Polis-nea, or new town, it was built on the top of the cliffs overlooking the Adriatic Sea. A nice stroll reveals a wonderful panorama of beautiful terraces, where the old town shimmers with its white and limestone houses, and the marine caves add a special charm. If you're interested, a table can be reserved for you to enjoy an independent lunch at one of Polignano's most desirable restaurants, offering a great view. Some free time will be provided before returning to Savelletri. 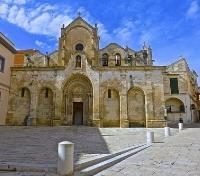 Meet your private driver and vehicle for a transfer to Lecce. Approximate drive time is 1 hour. 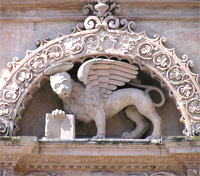 With a private guide, embark on a two hour walking tour of Lecce. From the 16th to the 18th century, Lecce flourished under a period of great splendor and was embellished with Rococo and Baroque monuments. The city is an open-air museum, with an abundance of churches and noble palaces. See the 2nd century Roman Amphitheater, once capable of seating 20,000 spectators. You'll visit the stunning 14th-17th century Santa Croce Basilica, featuring a richly decorated façade including a large rose window representing the triumph of Baroque art in Lecce. Nearby you’ll be able to admire the Government Palace, a former convent of the Celestine monks. Enjoy some free time at Piazza Duomo, one of southern Italy’s most impressive squares, allowing you to discover objects crafted by artisan workshops according to ancient traditions, or perhaps a local delicacy. The Risorgimento Resort is a hotel of modern conception encased in a prestigious historic mansion, situated in the heart of Baroque Lecce. Heir to a long tradition of hospitality, the hotel re-opened its doors after careful and thorough restoration. All guest rooms and suites are lavished in detail offering all the luxuries needed for an enjoyable stay. The on-site spa is a place where one can be pampered and enveloped by sensations, while the Risorgimento Resort restaurants are a benchmark of gastronomic excellence for the entire area, inspired by ancient traditions. This unique hotel showcases a modern concept born from the splendors of an old historical house that gives a refreshing perspective on this ancient city. Meet your private guide and driver, and head toward Otranto for a half-day tour of this historic seaside town and port on the Adriatic coast of southern Italy. You'll get a chance to visit the Otranto's leading attraction: a twelfth century mosaic in the town's Romanesque cathedral. The cathedral also holds a secret. 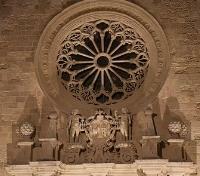 Inside you’ll find the harrowing Chapel of the Dead, in which 800 skulls of martyred Otranto citizens can be found. In 1480, Turkish pirates sacked the city and beheaded the 800 citizens who would not renounce Christianity. Now their skulls peer out from behind tall glass windows in the far right corner of the cathedral. You'll get approximately 1.5 hours of free time to walk around, and shop or buy local treats like a cappuccino or ice cream. 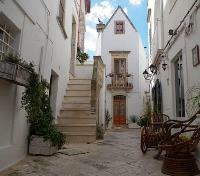 Departing with your private guide and driver, you'll head to Ostuni, reminiscent of a Greek village for its typical white-painted architecture. Take in a stunning view of the Adriatic coast and centuries-old olive trees that separate the town and the sea. Your walking tour within the old city center begins at the ancient walls—a fabulous panoramic photo opportunity. Follow the walls to the Old Town’s Piazza della Libertà where the Town Hall and the column dedicated to Sant' Oronzo stand. Explore the medieval part of the city with its narrow side streets and whitewashed buildings; then you will reach the 15th century Cathedral of Assunta, built in Romanesque-gothic style. Step inside and enjoy the cool of this charming monument to parochial life. 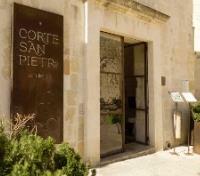 Leaving Ostuni you will drive towards Cisternino where you’ll visit a modern oil press and enjoy an olive oil tasting. See and learn how olive oil is produced using modern technology. Taste for yourself the finished product in a tasting room inside one of the cone-shaped trullis that date back to the 17th century. 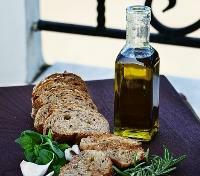 Five types of oil are offered along with bruschetta bread. 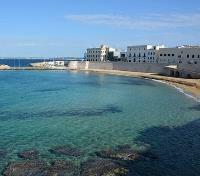 Transfer to Bari today with your private driver, stopping to tour Gallipoli along the way. Upon arrival, meet up with a private local guide and embark on a walk along the intricate labyrinth of winding streets of the old town, linked to the modern new city by a 16th century bridge. Discover beautiful churches and spot the many historic buildings, including a nice view of the 13th century Byzantine castle, later reworked by the Aragonese, and the old 14th century city walls - fortifications which originally featured 12 defensive bastions. Admire the 'Greek' Fountain, shrouded in mystery. This work was formerly believed to be a 3rd century BC relic, making it the oldest fountain in Italy, but has since been attributed to the 16th century by archaeologists and scholars, a finding which is still debated to this day. Afterward, rejoin your private driver and continue to Bari. The legendary Grande Albergo della Nazioni hotel redefines the Bari waterfront in one of the most chic and lively areas of the Apulian capital. 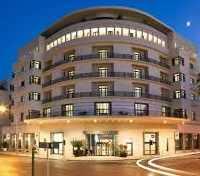 Offering serene views over six floors, and topped by a spectacular terrace overlooking the sea, a stay at Bari's most prestigious address is nothing but memorable. Relax in luxury in one of the hotel's 115 seductive guestrooms and suites, boasting Mediterranean-inspired colors and an elegant ambiance. An exclusive on-site restaurant offers an ideal dining setting, while the wellness center offers healing for both the body and soul. 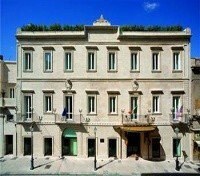 No matter your intent, the Grande Albergo della Nazioni is your gateway to luxury in Bari.